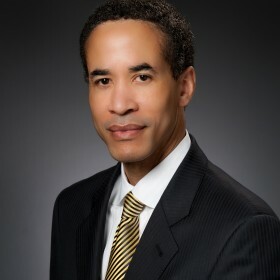 Charles Phillips is Chief Executive Officer of Infor, the third largest business software applications company in the world with 90,000 customers in 190 countries and 17,000 employees. Headquartered in New York City, Infor provides cloud applications that automate critical business processes specific to manufacturing, distribution, fashion, hospitality, retail, public sector, and healthcare organizations. Infor software spans financials, supply chain, manufacturing, human resources, logistics, e-commerce,and customer engagement. Additionally, the company leverages business data captured by its applications to provide predictive analytics, optimizations, industry benchmarks, and correlations using Coleman, Infor’s artificial intelligence platform. Infor also founded a NYC-based design agency, Hook & Loop, that focuses user experience design and digital transformation at scale. Prior to Infor, Phillips was President of Oracle Corporation and a member of its Board of Directors. During his eight-year tenure, the company tripled in size and market capitalization and successfully acquired 70 companies. Before Oracle, Phillips was a Managing Director at Morgan Stanley in the Technology Group and served on its Board of Directors and was an Institutional Investor All Star for 10 consecutive years. Phillips served as a Captain in the U.S. Marine Corps in the 2nd Battalion, 10th Marines at Camp Lejeune in a line of three generations of military service. Phillips holds a B.S. in Computer Science from the U.S. Air Force Academy, a J.D. from New York Law School, an MBA from Hampton University, and is a member of the Georgia State Bar Association. Phillips serves on the Boards of Viacom Corporation, Apollo Theater, BENS (Business Executives for National Security), and the New York City Police Foundation. Phillips also served on President Obama’s Economic Recovery Board, led by Paul Volcker, and is a member of the Council on Foreign Relations. He also serves on the board of the Federal Reserve Bank of New York.